John Lewis has built on its victory as Campaign's Advertiser of the Year in 2010 with a Christmas spot that has captured the nation's imagination. John Lewis has done it again. Eighteen months after bringing us the emotional "always a woman" spot – an ad that helped the brand capture Advertiser of the Year in last year’s Annual – the retailer returned to our TV screens this Christmas with a charming, heartfelt and downright beautiful ad. An ad that has managed to reduce a nation to tears. An ad that was trending on Twitter the day before it had even made it on to TV. An ad that, just 24 hours after airing for the first time during The X Factor, had received more than half-a-million views on YouTube (and, at the time of writing, is close to the three-and-a-half-million mark). It’s also an ad that has spawned countless parodies, including one from the chef Gordon Ramsay to promote his Christmas Cookalong show. Furthermore, the ad has helped Slow Moving Millie, the artist behind the song used in the spot, make it into the Official UK Top 40 Singles Chart. In fact, it’s an ad that’s not only one of the best Christmas campaigns in years, but quite simply one of the best ads in years. You’d probably have to go back to the introduction of Aleksandr the meerkat to find a campaign that has put advertising and the advertising industry into the spotlight in the same manner that John Lewis has done. The ad burst on to the scene in early November, initially being released on the retailer’s official YouTube and Facebook pages, before launching on TV during the next day’s episode of The X Factor. By the time of the TV launch, the ad, which shows a boy impatiently waiting for Christmas Day so that he could give his parents a present, had already become an online sensation, with celebrities such as Phillip Schofield (number of Twitter followers: 1.1 million) declaring their love for the spot. Created by Adam & Eve’s Ben Tollett, Emer Stamp, Matt Gay and John Long, and directed by Dougal Wilson through Blink Productions, the spot combined a simple, wonderful thought with incredible attention to detail, all supported by a beautiful soundtrack. Like Ellie Goulding before her, Slow Moving Millie was by no means a household name when she was recruited to provide the vocals for the ad’s song, a cover of The Smiths’ Please, Please, Please Let Me Get What I Want. But her hypnotic voice sets the tone perfectly and provides the basis for a spine-tingling 90 seconds. Securing a song by The Smiths is, in itself, no mean feat. The band’s frontman, Morrissey, has long been known for his aversion to advertising and has made a point of not normally allowing his work to be used in ads. But while this has meant that John Lewis has come under fire from some Smiths fans, it has got the seal of approval from Morrissey himself – who declared it "delightful" – while the band’s guitarist, Johnny Marr, revealed that he "thinks it’s great". Of course, the other criticism that the ad has faced since its launch is that the premise is a touch far-fetched: no child would really eschew his pile of presents in order to give one of his own. But those who do think that way are perhaps missing the point. That theory could be construed as people over-thinking things, being too cynical or – dare we say it – not being very Christmassy. Because Christmas is about warmth, about emotion and about togetherness. And if you’re a retailer that positions itself as being at the heart of Middle England, an ad that expertly conveys all of those emotions and more is exactly what you want. Lucozade underwent an amazing transformation this year. Previously, the brand’s advertising talked a lot about energy, but with a plethora of sports drink brands saying exactly the same thing, it quietly faded into the background. Grey, which won the brand’s ad account last year, wisely chose to ignore the conventions of sports drink advertising. Instead, the agency drafted in an unlikely trio (the rapper Tinie Tempah, Blink-182’s drummer Travis Barker and the boxer Katie Taylor), put them in a room in Los Angeles and waited for sparks to fly. Tempah performed a remixed version of his Simply Unstoppable track while Barker drummed and Taylor boxed. The ad previewed online and aired during the Uefa Champions League quarter-final. The film clocked up more than one million YouTube views. Even the behind-the-scenes footage showing Barker laying the drum track got 850,000 views. Lucozade had a hit on its hands. But that was just the beginning. The music theme continued with the brand’s next spot for its Sport Lite variant, featuring roller-skaters and skateboarders. The film was built around a new track by DJ Fresh called Louder, which was released through the Ministry of Sound. The song charted at number one, beating the likes of Beyoncé and Katy Perry. The long-form ad was used as the official video for DJ Fresh’s track, getting 1.3 million views on YouTube. A third TV ad showcased an unsigned band, The James Cleaver Quintet, playing a live version of Buck Rogers by Feeder, cementing Lucozade’s association with music and its relevance to a new youth audience. The band was later signed to a record label, with the track receiving plenty of airplay. All of this gave Lucozade its very own energy boost. Sales of Lucozade Lite shot up by £7 million, a 73 per cent value increase from the year before, and Lucozade Energy sales were up by £14.4 million, a 6 per cent rise. The campaign proved that being brave pays. The England fans among you won’t really want reminding of the Rugby World Cup. But while the team were embarrassing themselves in New Zealand, they gave the sponsor, O2, a little more to cheer about back at home. The players starred in an extension of the network provider’s "priority" campaign, which gave customers the chance to sign up for an exclusive "breakfast pack" to help them deal with the early morning kick-off times. The TV ad to promote the offer was lovely. Rather than go down the usual route of rugby clichés (tough tackles, muddy pitches, beered-up blokes), the spot instead showed some of England’s best-known players carefully creeping around a fan’s house to help him wake up and get ready for the game. The ad played out ahead of the home nation rugby matches and has since been viewed more than 750,000 times on YouTube. It was also supported by a radio campaign and a Wake Up For England app, which allowed fans to be woken up in time for the match by a speech from an England player. But it was the breakfast pack itself that was the real meat of the campaign. By texting "pie" to 2020, fans would be delivered, by courier, two breakfast pies, two cans of lager and an England flag. All 39,385 packs were snapped up by the second England game, and after VCCP ordered an emergency order of a further 60,000, those were also snaffled too. O2 had clearly provided England fans with the perfect antidote to a difficult World Cup campaign. 11 November John Lewis launches its Christmas ad, "the long wait", on its Facebook and YouTube channels. 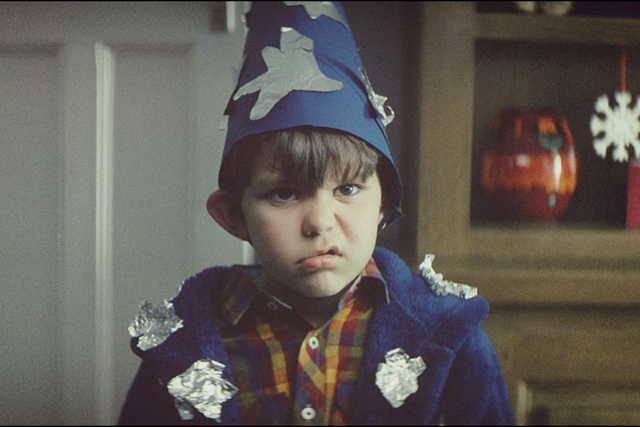 The 90-second spot, created by Adam & Eve and directed by Dougal Wilson, features a young boy impatiently waiting for Christmas. 12 November The ad breaks on TV during ITV’s The X Factor. It immediately trends on Twitter. 16 November Just five days after launch, the ad racks up more than one million views on YouTube. 20 November The soundtrack from the ad, Please, Please, Please Let Me Get What I Want by Slow Moving Millie, enters the Official UK Top 40 Singles Chart at number 36. 28 November Slow Moving Millie’s song heads a new album released by John Lewis in aid of Save the Children. Reworked features a number of tracks used in its TV campaigns over the past four years. Claire Beale: Can John Lewis save adland this Christmas?